The Eastern League has announced the rosters for the 2016 Eastern League All-Star Game and a pair of Red Sox prospects were selected. 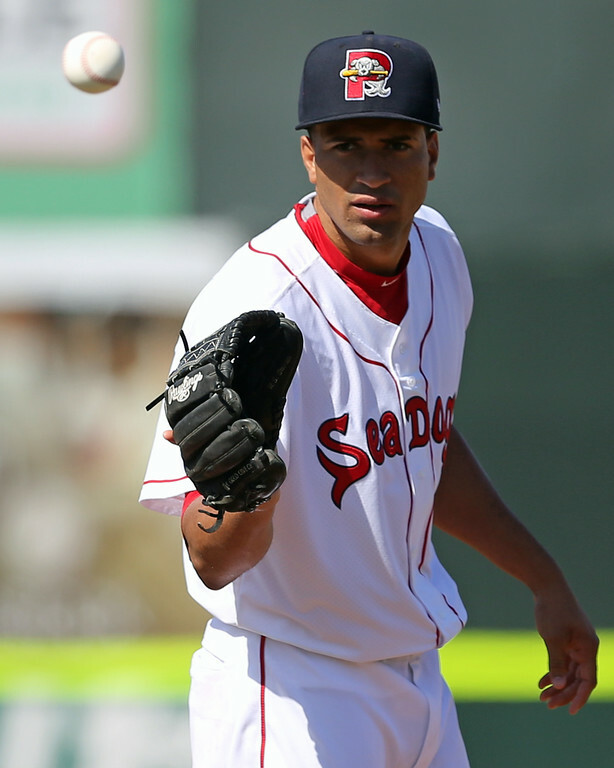 Left-handed reliever Williams Jerez (pictured), who ranks 25th on SoxProspects.com, and catcher Jake Romanski, who ranks 46th, will represent the Sea Dogs. Jerez was originally drafted as an outfielder in the second round of the 2011 draft, but converted to the mound in 2014. Since then, Jerez has moved quickly through the Red Sox organization, as he started last season in Greenville and finished in Portland. The 24-year-old Jerez remained in Portland to begin this season and has performed well, featuring a 3.72 ERA with 7.91 K/9 and 3.49 BB/9. Jerez is obviously still raw and new to pitching, but he features a potential plus fastball that sits in the low-90s and has good feel for a slider. Romanski was drafted out of San Diego State in the 14th round of the 2013 draft. In his age 25 season, Romanski is slashing .307/.338/.381 for the Sea Dogs. Romanski is a solid defensive catcher but, before this season, has shown little with the bat. He has a below average hit tool and little power, with just one home run and 11 doubles this season. The Eastern League All-Star Game will take place on July 13th in Akron, Ohio.